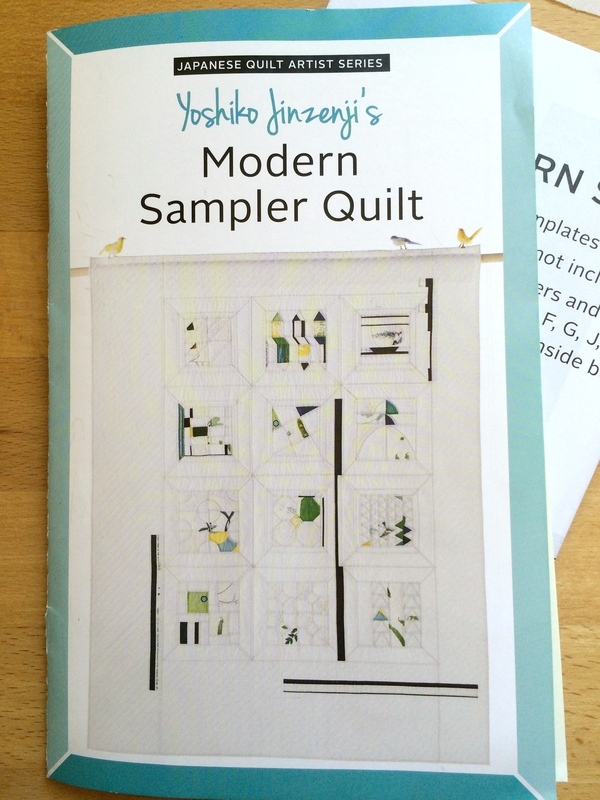 I was asked by World Book Media to make the Modern Sampler Quilt pattern by Yoshiko Jinzenji. Of course, I said yes as I love the aesthetic and her fabrics. I have almost 5 out of the 12 blocks done and have hopes to finish all by the weekend. For those that want to give the pattern a try, you can find them here or on their etsy store. The pattern for each block is a template which you trace onto tracing paper so that you can use that template to cut out each piece (adding seam allowance). The template approach allowed me to have some flexibility in how I make the blocks. I can decide if I am cutting each individual piece, or use the template as a paper-piecing template or modified a couple of the blocks to avoid partial seams. Once complete though, the blocks still have the same overall appearance. This entry was posted in Uncategorized and tagged modern sampler quilt, WiP Wednesday, Yoshiko Jinzenji on May 27, 2015 by mlwilkie. ooooh love this and that pattern is really cool! That sounds like a very interesting approach to piecing! What a fascinating quilt–looking forward to the reveal! BTW, way to go on those May goals! An interesting & very clever pattern! 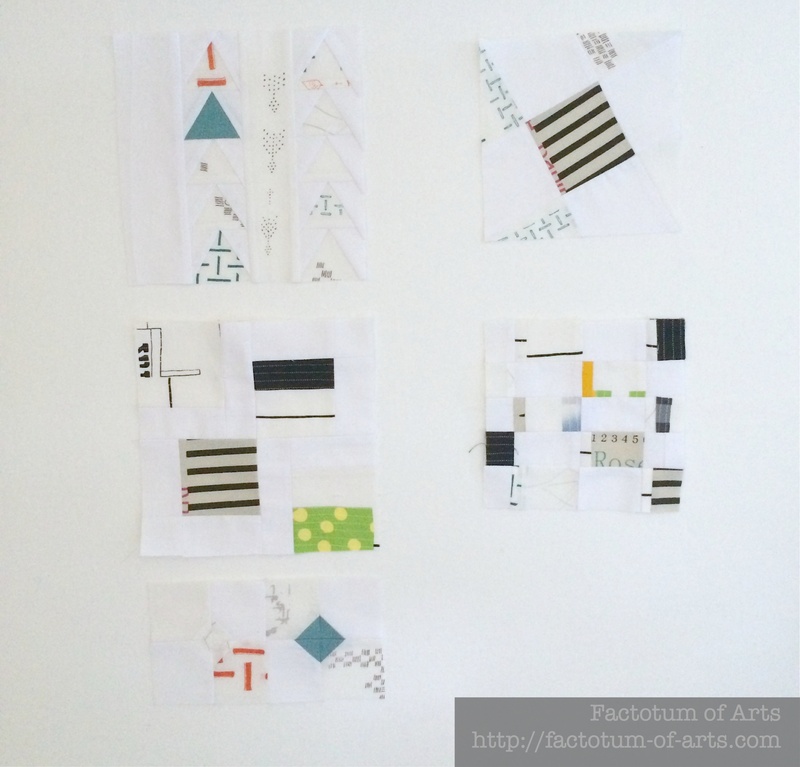 I really like the look of the finished quilt, simplistic beauty at first glance… but certainly some complex piecing? and reliant too, on using certain fabrics to create the effect? She’s one of my quilting heroes, so I’m really looking forward to seeing how your version looks when finished. Love what I see so far. Can’t wait to see your version of this fascinating quilt!! I can see this is going to be amazing! Subtle, yet impactful! These designs fascinate me. So much neutral, but then so much intricacy. Really interesting to hear how they are put together with whole templates. This sounds like an interesting process! Love how it’s coming together so far.